In the countryside of Victorian England, a recluse and a beekeeper team up to catch a cunning villain. In a quiet village far from the noise of Victorian London, Sydney Silchester lives the life of a recluse led by two passions: privacy and honey. He gives up the former only when his stores of the latter run low. But when his honey supplier is found stung to death by her hive, the search for a new beekeeper takes Sydney to Mr. Mycroft, a brilliant man who has retired to Sussex to take up precisely this occupation, and who shares many traits with the great detective, Sherlock Holmes. Upon hearing of the tragic death of the village’s other beekeeper, Mycroft, himself no stranger to crime-solving, immediately senses the bloody hand of murder. But what villain would have the mad intelligence to train an army of killer bees? With Sydney at his side, Mycroft embarks on a life-threatening search for the perpetrator of this most diabolical crime. 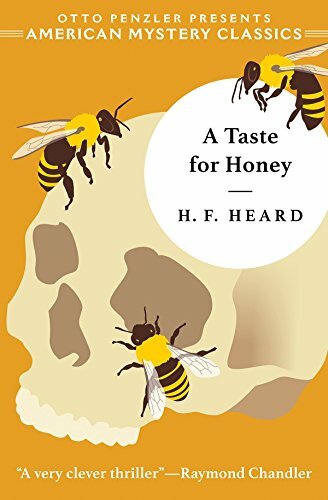 Hailed by author, critic, and famed Sherlock Holmes scholar Christopher Morley as the only worthwhile continuation of the Holmes novels, A Taste for Honey is an engaging and terrifying mystery that proves enjoyable even to those with little to no knowledge of Doyle’s characters.